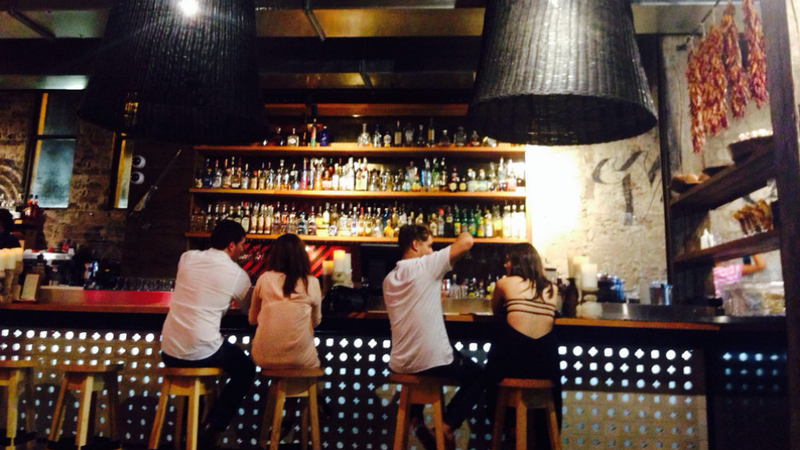 Enjoy the taste of Modern Mexico in Sydney! Mejico serves market-fresh dishes inspired by Mexico’s love of life, flavour and festivity. Their chefs have created an exclusive Spark tasting menu, serving you a selection of their favourite dishes to share plus a carafe of their Signature Sangria. It’s all about hospitality at Mejico, and from the moment you’re greeted when you walk through the door, to the revolving feast of dishes making their way to your table, you feel like part of the family. Sit back and relax while we take of your entire date night. Every Spark date meets Spark’s high quality standards. So much fun! We explored parts of the QVB we didn’t know about before heading to our Main Event at Mejico. There was even a card waiting for us at the table.